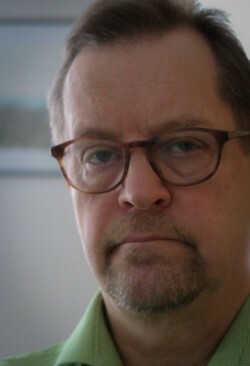 Eero Sormunen is Professor at the School of Information Sciences, University of Tampere, Finland. His research interests are in information retrieval instruction, information literacy and learning, and task-based information retrieval. He was the co-leader of the Know-Id research project (Collaborative construction of knowledge and identities in school and teacher education) 2010-2013 (https://blogs.sis.uta.fi/know-id/). He has developed a method for the analysis of information use in source-based writing and studied students’ collaboration strategies in learning tasks. Currently his research focuses on the long term approaches in information literacy instruction, and on the role of epistemic beliefs in the learner’s information practices. Information Literacy Instruction: What Can We Learn from Reading and Writing Research? Information seeking research has contributed to the development of pedagogical frameworks for information literacy (IL) instruction. The most prominent example of this is Guided Inquiry by Kuhlthau, Maniotes, and Caspari, which is built consistently on the Information Search Process model by Kuhlthau. Also the other pedagogical frameworks for IL instruction (Big6 by Eisenberg and Berkowitz, Plus by Herring, ASE by Gross, Armstrong and Latham, etc.) follow the same ISP-based thinking: the learning task is regarded as an essay type assignment which is divided into 3 to 7 specified stages for the purpose of teaching interventions. The speaker argues that the present approaches in IL instruction rely too unanimously on information seeking research. The major limitation in information research is that it focuses on the early stages of the inquiry process: searching, evaluation and selection of sources for use. Reading as a meaning making process, and writing as a knowledge construction process have not earned much attention. The talk will discuss studies in online reading, epistemic beliefs, comprehension of multiple sources, and argumentation. All four areas mentioned are closely related to each other and help us to more deeply understand the complexity of information interactions; also at the stages of searching and selection of sources.